Built for demanding environments and conditions: can withstand rough handling, extreme temperatures, dust & wet environments. Reliable, durable yet lightweight (3.5 pounds with pads & battery). Ready to use when you need it: device is delivered with battery & pads pre-installed. AED with an optional infant/child key that can be used with adult pads for pediatric patients. Wireless transmission of event data to a Smartphone or PC. 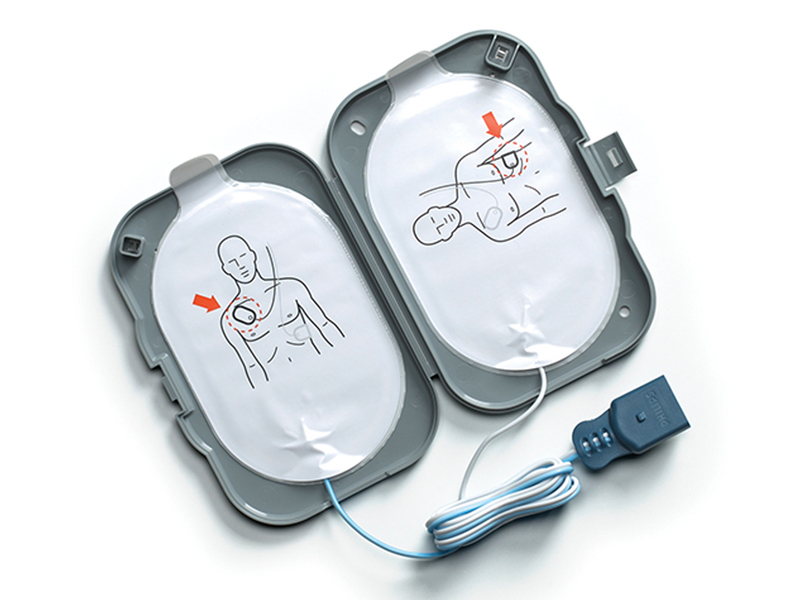 SMART Pads ll sense & adapt the defibrillator’s voice instructions to the responder’s actions & pace. 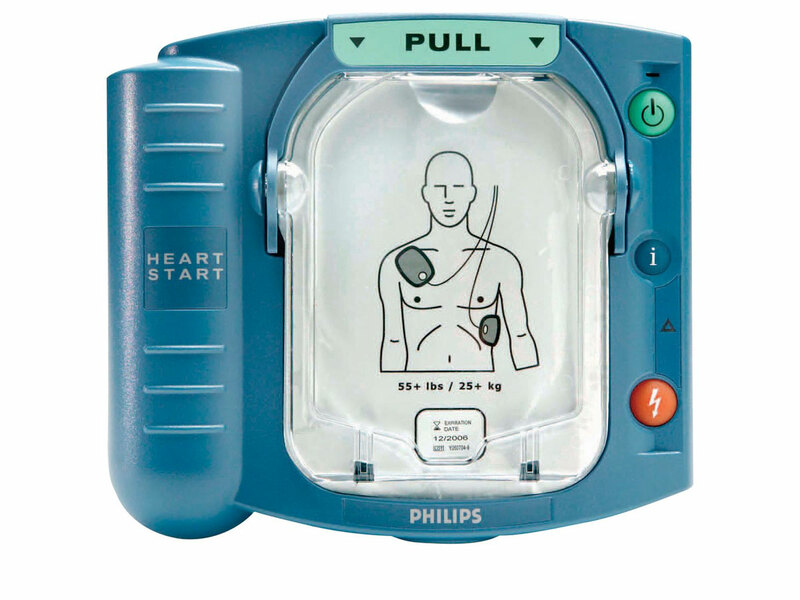 Pad sensors immediately adjust shock so the right current is delivered to the heart on every shock. Save time & money: pads can be used for adults & children with the infant/child key. Pads don’t need to be switched based on the person’s age, so the therapy can be delivered quickly. Automatically assesses the heart rhythm. Shock will not be delivered unless the rhythm is determined to be shockable — even if the shock button is pressed. Performs ECG analysis even in the presence of most pacemakers & other electrical noise. When challenging sources are detected, voice prompts suggest corrective action. Life Guidance provides simple, step-by-step voice instructions, tailored to the responder’s actions. 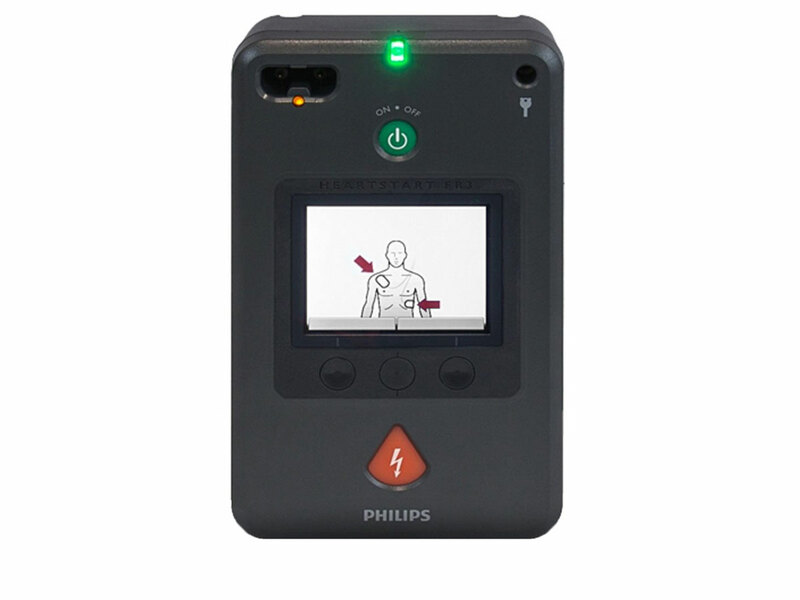 Calm, clear voice instructions & flashing icons provides guidance from pads placement to CPR & shock delivery. 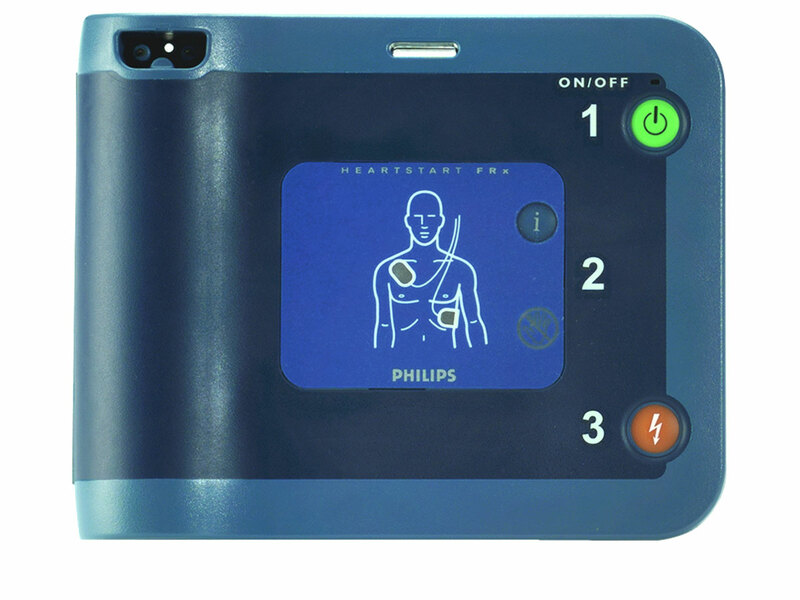 Intuitive graphics lead you through the defibrillation steps, especially helpful in noisy environments. CPR assistance provides instructions for the appropriate number, rate & depth of chest compressions, as well as for each breath. Quick Shock reduces the critical time from chest compressions to shock delivery. Patented technology delivers shock treatment typically in just eight seconds. Built-in self tests automatically conducts over 85 daily, weekly & monthly tests to verify functionality & calibration of circuits & systems, battery readiness & pad functionality. Once the infant/child key is inserted, the FRx automatically adjusts Life Guidance to show optimized pads placement, CPR instructions & reduces the shock energy that’s appropriate for an infant or child.